So far, 2010 has been a really mild year for movies. And yet I've already seen more than I ever have before. For the non regular reader, I see a bunch of movies in the theater. Every January, I write about my top ten of the year. In the days prior, I try to write about the ones I see that didn't make the list. Last year I saw 45 movies in the theater - much more than I ever had before. So I declared December to be movie-a-day month. Both Lance and Nolan also participated writing about some of their favorite movies. I got some great movie suggestions from both of them. I wrote about the movies that didn't make my top 10 list. This year, I have already seen 48. There's another half-dozen movies coming out that I want to see, though I don't know how many will actually be available in the Bay Area. As of right now, I only have seven movies that I've noted to make the top ten list. Just seven! That's preposterous. And to be honest, one or two of those were movies that I liked when I saw them much more than I do now. There's only two or three that would have made the list in previous years. It's not that all of these movies have been bad. It's just that a lot of them have been goodish, just not great. Since a lot of the early ones are now available at home, I'm going to start writing about the movies that didn't make the list, a few at a time. Maybe you'll see something that you like. These obviously aren't full reviews but just a couple sentences. 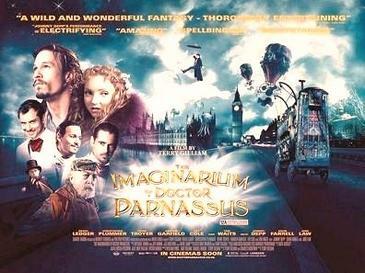 The Imaginarium of Doctor Parnassus is an imaginative movie. It's a beautiful film. If you can, it's the type of movie that you should see on a big screen with a crisp, clear picture. The performances are pretty good too. I personally had a hard time getting into the story, which was simple yet unnecessarily convoluted. Still, I know a lot of people who thought the movie was amazing, so give it a shot. I watched The Blind Side because it was an Oscar nominated movie. It shouldn't have been. It was better than an after school special, but not as good as a good movie. It's an Oscar nod for dumb people. I think I went into The White Ribbon with high expectations. The saw a lot of amazing reviews. The trailer looked creepy and cool. But there just wasn't enough there for me. It was too slow and deliberate. Often slow and deliberate is a good thing because it leads you toward a payoff. But it wasn't there in this movie. Keep reading for more. I think I liked Shutter Island more than many people. I think a lot of people felt about this what I did about The White Ribbon. They didn't buy the payoff. My difference is that this movie, whether you liked it or not, had a payoff. The other didn't. 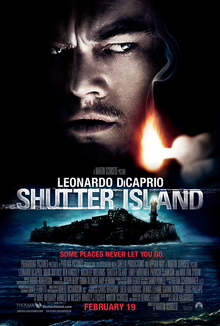 But I liked the journey in Shutter Island. It was interesting enough to hold my attention. Since having a kid in February, I have seen all of one (1, uno, un, solo) film in the theatre in 2010 (The Social Network), I will have to live vicariously through your list. Although I have tried to keep it real on dvd. The Social Network will definitely be on the list. You saw one of the best.